Rwanda has a prolific supply of religious lodging options for tourists and pilgrims alike. They have pretty consistently been our place of choice considering they tend to be clean, well run, and inexpensive. In Kibuye, we lucked out when we found Home Saint Jean tucked away at the end of a peninsula behind the Genocide Memorial Church (many churches in Rwanda became massacre sights as people flocked there for security and instead became sitting ducks for the genocidaires – in the region around Kibuye this was definitely the case). The hotel offers 270 degrees of views over the lake, a restaurant and huge balcony for sitting under the stars and debating the meaning of life. Ask for room 14 and you get a corner room surrounded by water. In the evening the moon rises right over the balcony. And from the doorway you can watch the storms roll over the hills and down into the lake. Reblogged this on RD Revilo. Hi! I was wondering if by any chance you had contact information for Home St-Jean? I cannot seem to reach them…. I was hoping to book a room there for a couple of nights in April. Thank you! Hi Sarah – I wish I did but I don’t have my book on me. If you have the East Africa Lonely Planet their info should be in there – that’s how I found them. 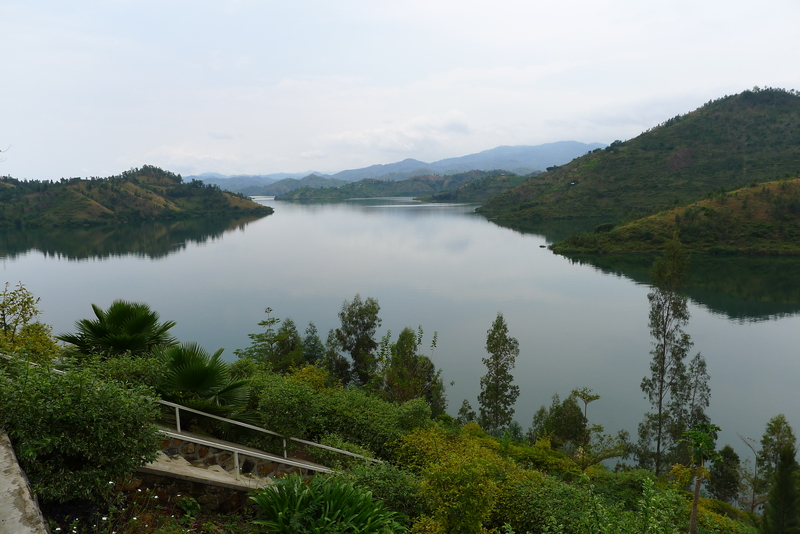 Also, if you can drive a motorcycle, ask them at the front desk about renting a bike and do a piece of the Congo Nile trail – it’s breathtaking. Enjoy!